Home / Other Political News, Politics / Is ATWOLI planning to kill WILLIAM RUTO? – See what he said about RUTO‘s presidential bid in 2022 – This old man should be arrested!! Is ATWOLI planning to kill WILLIAM RUTO? – See what he said about RUTO‘s presidential bid in 2022 – This old man should be arrested!! 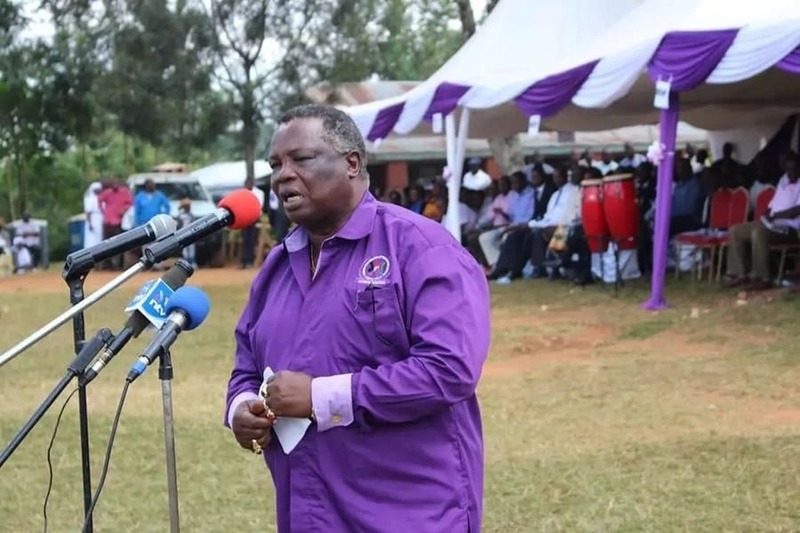 Sunday April 14, 2019-Central Organisation of Trade Union (COTU) Secretary General, Francis Atwoli, has said the name of Deputy President William Ruto will not appear anywhere in 2022 presidential ballot. Speaking in Lamu during a fundraiser for women's Sacco on Saturday, Atwoli said 2022 General Election would have a slot for the president, deputy president, a prime minister and his deputy. The COTU boss was however categorical the current DP's name would not appear in any of the ballot papers, claiming his words were not tongue in cheek utterances but a signal from the creator of heaven and earth. At the same function, Atwoli told off the DP over his recent claims that Opposition leader Raila Odinga approached him four times before the handshake with President Uhuru Kenyatta. According to Atwoli, Ruto was very young to be approached by the opposition supremo. Nabii Atwoli amenena. Since all prophets are tested by the fruition of their prophesies coming to pass or not, then we must await the 2022 elections. If WSR is on the ballot then we shall definitely know how a false prophet looks like. Jamaa fupi, round.... get my drift?